The number 30 and The Big 3-0. What happens at 30 and beyond? So You Are 30...Now What? A millennium ago, I turned 30. 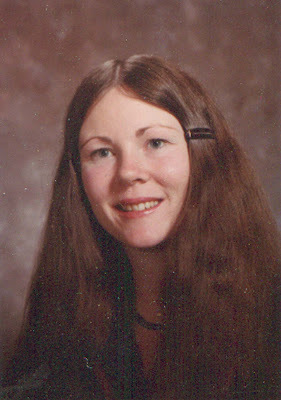 That day in October 1980, I looked in the mirror and found a hint of crow's feet. Sure, I still got carded at the bar, and my 10-year-old son was often mistaken as my little brother. But I knew the awful truth: I was catapulting toward middle age, grim responsibilities, and sensible shoes. I distinctly felt as though my youthful life was over. 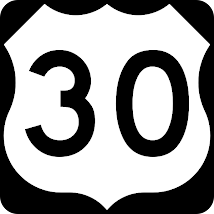 However, I soon discovered that the number 30 was just a numeral designed by our culture to corral us into a specific target group for Madison Avenue, that I had a choice to approach so-called middle age in any way I wanted. In truth, after giving birth at the tender age of 19, I had already long crossed the adolescent line. Raising children forces one to grow up relatively fast, or at least it should if one is to raise them properly. Fast forward to 2008: 30 looks darn good to me right now! Generally speaking, at 30, you don't feel all that much different than when you were 21. If you concentrate really hard, you may feel some minor aches and pains, but you have to be a real hypochondriac to notice them. At 30, you might find a gray hair or two, but nothing noticeable (I remember I had one thick gray corkscrew hair, which nearly drove me bonkers; I plucked it out, and the corkscrew part of it never returned. Unfortunately, the gray did). At 30, you begin to notice that you're not quite up-to-date on the most recent pop and rock songs. Jonas brothers? Who dat? I'm still waxing nostalgic about The Beatles. At 30, drinking warm beer from a tube attached to a rally hat seems a bit gross, though you may not be quite ready to lose the bong just yet. At 30, you begin to shop for shoes that don't pinch your toes or cramp your in-step--function over form, although you're not quite ready to abandon form altogether. No black Oxfords for you! At 30, pink hair and tongue studs begin to feel slightly inconvenient on the job search, especially if you're trying to find a decent job, which will pay enough to support a family. At 30, you are likely to have at least one child; if you started procreating early (like I did), your child may be just two or three years from (gasp!) the terrible teens. Talk about an age group that will quickly make you feel irrelevant and creaky! --Young enough to still have fun and enjoy unfettered physical activity. --Old enough to have acquired some wisdom along the way. So if you have just turned 30 or are way past 30, enjoy life, and feel superior to all those 20 year olds who still think that spending a night puking into the porcelain throne is great fun! What Did YOU Do When You Turned 30 and Beyond? In 500 words or fewer, share YOUR 30th or landmark birthday story, such as 35, 40, 45, 50, etc. Or maybe your landmark does not fit in with a stereotypical number, but, rather, an important event: a trip, marriage, divorce, etc. Place your text in the body of your email, not as an attachment. If you have a photo of your event or just yourself, feel free to include it as a jpeg or jpg file. The Beatles: "The Birthday Song"
30 is a site dedicated to the number 30 and otherwise special anniversary content with a humor angle. This site is not affiliated with any of the other major humor sites on the internet but is simply a rogue site with its own issues. The purpose of this website...well, there is no real purpose other than for the webmaster to launch yet another site in the blogosphere. While 30 tolerates comments (which are subject to prior approval), the webmaster reserves the right to reject spam, unwanted advertising, copyright-infringing comments, hate speech, ethnic/racial intimidation, harassing/stalking posts, and libelous content. This site is copyright 2008, by Jennifer Semple Siegel, whose 30th birthday was, well, nearly 30 years ago. Other works posted and embedded here are copyright by their respective authors or are in the public domain.